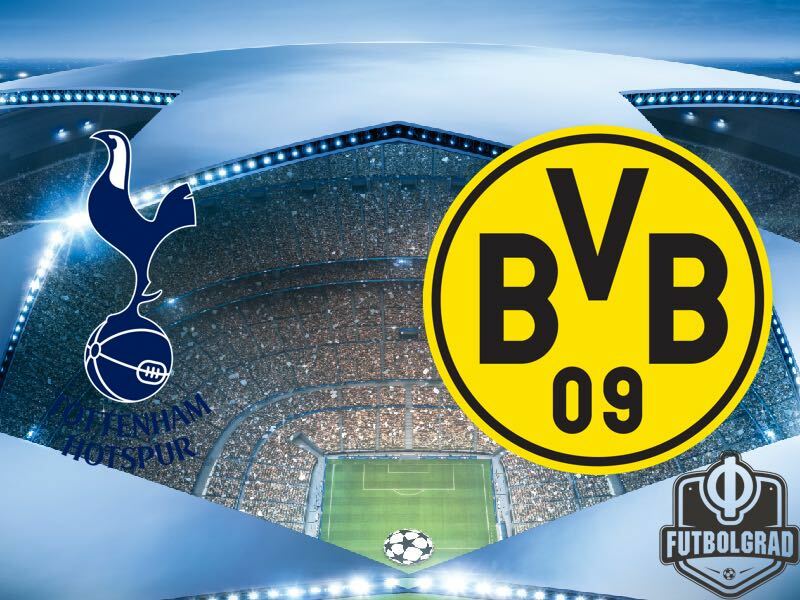 Tottenham vs Dortmund – Wednesday 13 September 19:45 BT/20:45 CET – Wembley Stadium – London, United Kingdom. Borussia Dortmund travel to London on the backs of the first disappointing performance of the still young Bundesliga season. Dortmund were up a man early against SC Freiburg, but Freiburg were able to bring Dortmund’s defence to a halt by remaining compact and not giving Dortmund’s attacking players the room to go at them with a high tempo. Freiburg were able to use the relative narrow pitch at the Schwarzwald Stadion to their advantage, and under normal circumstances, Tottenham could take a lot of positives from Dortmund’s game against Freiburg. After all Tottenham’s nominal home stadium, White Hart Lane is known for its relatively narrow field. The problem, however, is that the White Hart Lane is currently being replaced with a new stadium and as a result, Tottenham have to play their home games at Wembley Stadium this season. 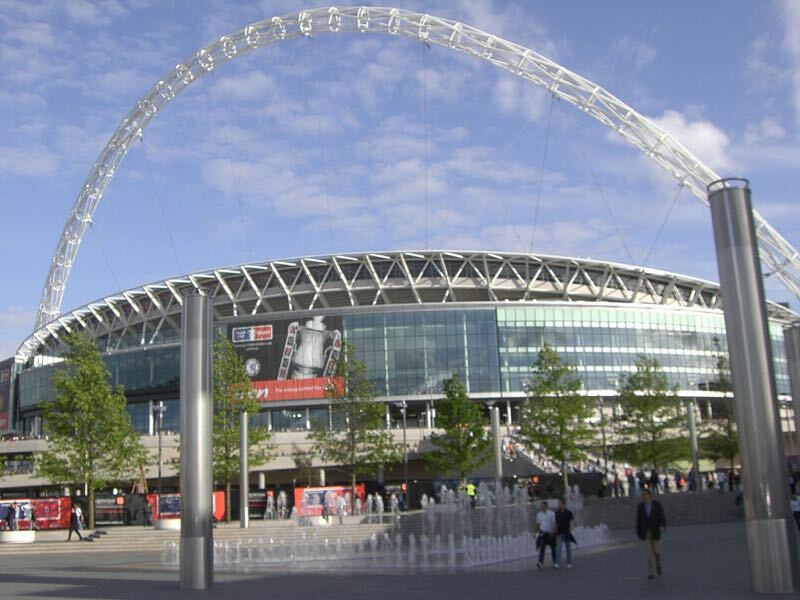 Wembley’s pitch (105×69 meters) is bigger than the field at White Hart Lane (100×67 meters), which explains one reason why Tottenham have struggled while playing at home at Wembley. The larger pitch dimensions at Wembley at the meantime are good news for Borussia Dortmund. Unlike the Schwarzwald Stadion (101X68 meters) Dortmund will, therefore, have slightly more space to develop their attacking play—especially with the likes of Andriy Yarmolenko and Jeremy Toljan making their debuts for die Schwarzgelben. Using the space at Wembley will be key, and it was, therefore, a major disappointment for Dortmund when captain Marcel Schmelzer went out with a significant ankle injury on Saturday and will be absent for several weeks. Schmelzer will likely be replaced by Toljan, who is a fast and dynamic wing-back, who with his forward runs can put some pressure out wide on the opposition’s defence. With the extra space at Wembley and Tottenham’s more attacking minded philosophy Dortmund should have an easier time breaking down the Hotspur’s defence then it was the case on Saturday against Freiburg. At the same time, Tottenham have a top class team and will provide a significant challenge for die Borussia. With Tottenham’s poor home record and Dortmund’s ability to stretch the pitch die Schwarzgelben will into the match on Wednesday as slight favourites. In the absence of midfielder Dele Alli, who is currently serving a three-match suspension, Harry Kane is the biggest star of the North London side. The English national team striker scored twice in Tottenham’s 3-0 away victory over Everton on the weekend once again highlighting that he is a deadly striker. A product of Tottenham’s prolific youth academy Kane is one of the very few English born superstars of the English Premier League. A classic striker with a fantastic goal scoring rate—he scored 29 goals in 30 EPL games last season—Kane can be a difference maker on any level. The third time was the charm. After failing to land the Ukrainian winger in the summer of 2015 and then in January 2016 Dortmund have finally secured the signature for the Ukrainian winger. The 27-year-old Yarmolenko will now add some experience to the frontline and will bring a different dimension to Borussia Dortmund’s game. Unlike Dembélé Yarmolenko is a direct player, who not unlike Arjen Robben likes to cut in from the right side of the pitch to use his strong left foot to finish off attacking plays. Yarmolenko featured in both Ukrainian qualifiers last week and scored twice against Turkey. He was also part of Ukraine’s 2-0 defeat to Iceland in Reykjavik. With the national team games in mind, Dortmund’s head coach Peter Bosz decided to bring Yarmolenko off the bench on matchday 3 of the Bundesliga and Yarmolenko had little impact as Dortmund was stalled to a 0-0 draw by SC Freiburg. The Ukrainian is now widely expected to make his first start for Dortmund against Tottenham. With White Hart Lane being redeveloped, Tottenham are playing all home fixtures at Wembley this term and their UEFA games there for the second season in a row and having won only once in four European matches at their temporary home in 2016-17. Dortmund triumphed when the two sides met in the 2015-16 UEFA Europa League round of 16, winning both legs for a 5-1 aggregate triumph. Pierre-Emerick Aubameyang and Marco Reus (2) got the goals in a 3-0 first-leg victory in Dortmund before Aubameyang struck twice more at White Hart Lane. This is Tottenham’s third time in the group stage and the second foray in as many seasons—the first time in their history they have managed consecutive European Cup campaigns. Dortmund are contesting the group stage for the 12th time and a sixth in seven years. Dortmund have reached the knockout stage in their last four UEFA Champions League appearances. On Dortmund’s last trip to England, they let slip 2-0 and 3-1 leads to lose 4-3 at Liverpool FC in the 2015-16 UEFA Europa League quarter-final second leg, going out 5-4 on aggregate. Their record in England is now W4 D1 L6.